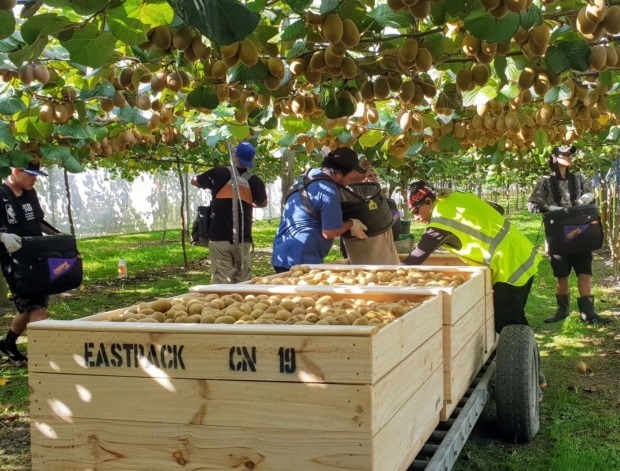 The 2019 gold and green kiwifruit harvest has officially kicked off with the first of an estimated industry-wide 150 million trays picked and packed in Gisborne. Johnson says it’s not clear yet if there will be a labour shortage in the sector, a risk the NZKGI has sought to proactively mitigate through a programme of outreach and promotion to potential labour sources over the first quarter of 2019. “We’ve gone all-out to tell our potential workers about the roles, pay and other important information – and dispel some of the myths about the work. Johnson says the industry will require around 18,000 workers through the harvest period, with the recruitment campaign targeting kiwis including student and retirees and backpackers. EastPack Ltd was among a number of growers picking early fruit this year.